A good garbage disposal unit in your kitchen will reduce the amount of trash that you have to bag and put by the curb, and it also makes cleaning up your sink much easier. If you need to replace an existing kitchen disposal or are buying one for the first time, we are your best online resource and supplier. 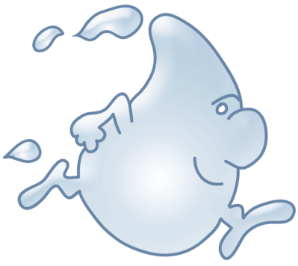 Our selection of garbage disposals here at Water Filters Fast is unparalleled, and our prices are set to help anyone afford a garbage disposer and meet their waste management needs. 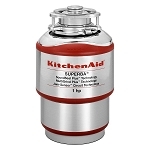 We carry kitchen garbage disposal units from the most well-known appliance and disposal manufacturers. 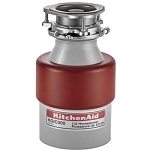 Brands such as Waste King, GE, and KitchenAid are all well represented in our selection, which means that you should have no trouble finding and purchasing the best garbage disposal for your particular needs. 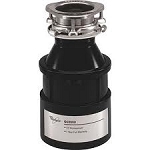 All of our garbage disposal units have been chosen based on our high standards of quality and durability, which means that you will be able to trust your garbage disposer from Water Filters Fast to do the job you need to be done for many years to come. When you are selecting your kitchen disposal, you need to keep several things in mind. First, you need to consider sink size so that you can purchase a disposal that will fit your sink. As you are perusing our selection of garbage disposals, it is also important to have an idea of how much waste you will be disposing of when you use your garbage disposer. For example, a large family will be producing a lot of waste for their kitchen disposal, so the best garbage disposal for them will be models with higher levels of horsepower. This is just some of what you should keep in mind, but remember that our customer service experts are available to help you with any garbage disposal question that you might have. Our garbage disposals will be shipped free to you when they are included in an order that totals $75 or more. This adds to the savings you already enjoy on our products. 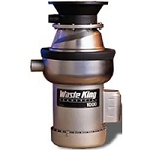 Order the best garbage disposal for your needs from Water Filters Fast today, and enjoy all the advantages we have to offer.